Yes, you read that right. This past weekend I was at South Street Seaport for Children’s Fest and came across a table handing out Y Water, a new developmental drink for kids. Y-water is the first in this new category of drinks for kids. They currently have four flavors with different constellations of vitamins and minerals. All of the ingredients are organic and each is a low-calorie drink (as opposed to juice, which is packed with calories!!). 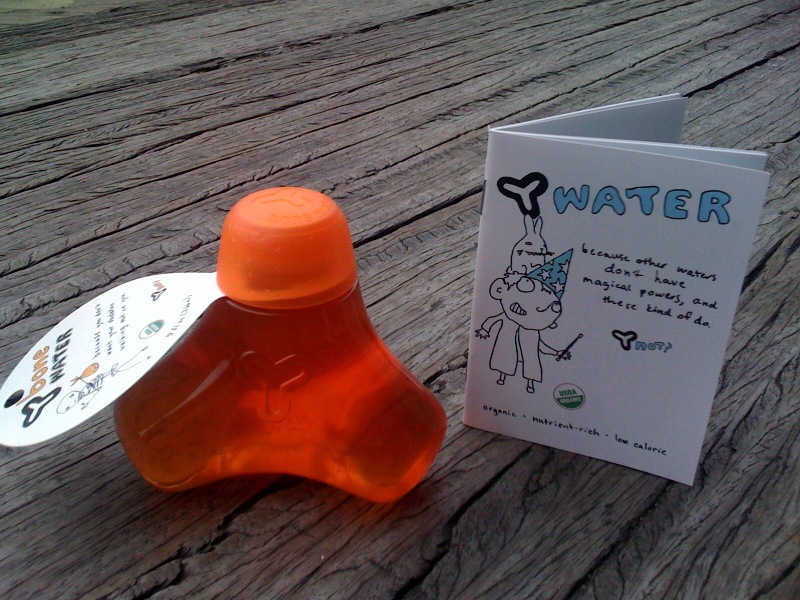 To top it off, the packaging is a cool, molecular-looking y shape that can be used as a toy. Y Water sells y-knots to bind them together for your child to make whatever she pleases!